Piano-based instrumental arrangements of a variety of classic church hymns. If you enjoyed Come to the Water, you’ll love this collection of piano-based instrumental arrangements. 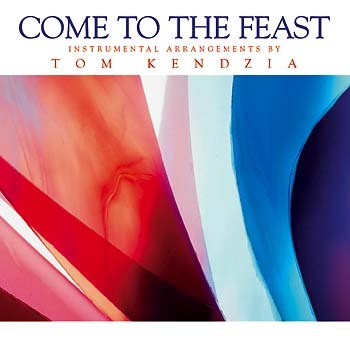 While Come to the Feast’s format is similar to Tom’s earlier instrumental collections, these songs were not written exclusively by the St. Louis Jesuits, but rather by a variety of well-known liturgical composers like Bernadette Farrell, Paul Inwood, Carey Landry, Dan Schutte and others. Songs include instrumental renditions of such favorites as “Bread of Life,” “Rain Down,” “Pan de Vida” and more. Gentle and soothing, each of the songs is beautifully performed on piano, guitar, woodwinds and strings. Play them in your car, at home, at work or as a background for prayer and meditation.